Rohan Joshi is a member of popular comedy collective AIB. As part of AIB, he has been a part of the collective’s ambitious projects such as AIB Knockout (India’s first ever comedy roast), AIB Diwas (a full-day open-air comedy show), On Air with AIB (the satirical news show telecast on primetime television and Hotstar), and AIB Presents Royal Turds (a Bollywood-themed spoof award show). One of the earliest stand-up comics in the country, he was on the Times of India’s list of top ten comedians in India in 2012, with over 250 shows at premier venues in India and internationally. He performs regularly for corporate clients across India. Rohan has co-written the prestigious Filmfare awards. He is also a humour columnist for several publications, including a long-running column in Mid-Day. Excitingly for fans, he has returned to the stand-up stage in 2017, and is trying out new material. One of India’s most versatile comedians, Naveen recently showcased his comic dexterity with released his hour-long comedy special, Don’t Make That Face, on Amazon Prime. A member of comedy collective Them Boxer Shorts, they created the acclaimed web series Better Life Foundation. He has also acted in Challenge Accepted (a Comedy Central TV show), Starboyz (a comedy sci-fi web series with Kenny Sebastian) and acts as Uncle Francis, a comedic avatar which has found a cult following.From being a finalist on Comedy Central’s Indian Comedy Festival 2012, he’s performed over 400 stand-up shows, and headlined comedy events such as Stage42, Bangalore Comedy Festival and Chennai’s Fringe Comedy Festival. As Uncle Francis would say, "Hello children, just keep calm and just go to his show, da dei!" 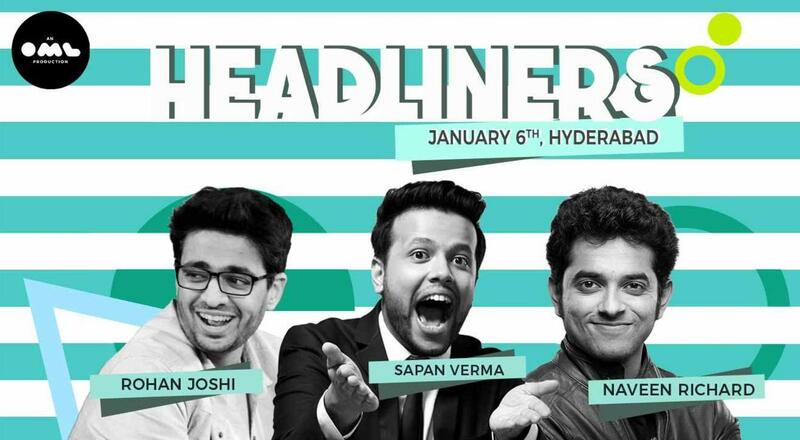 Sapan Verma is one of India’s most popular English stand-up comedians and also the co-founder of the East India Comedy, one of India’s leading comedy collectives. He has done over 700 live shows in the last five years, in all over India and also in New York, Paris, Barcelona, Dubai, Singapore and China. He was also a regular presenter on NDTV Prime’s news comedy show The Bottom Line. In 2016, he released his Amazon Prime Video comedy special, Obsessive Comedic Disorder, and can often be spotted making puns. #thatsright.